Providing the highest quality education for each student in a Christian atmosphere guided by the fundamentals of the Catholic faith. We glorify God in all that we do. 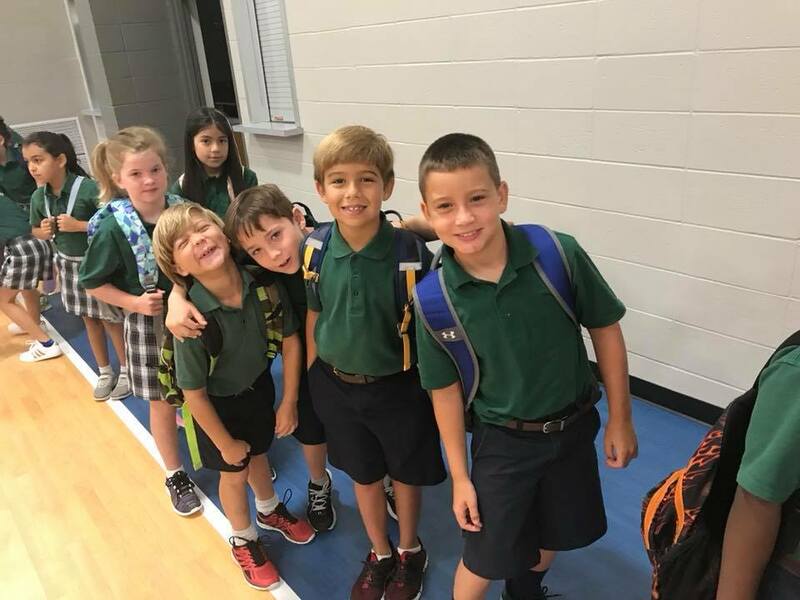 The Catholic philosophy of education guiding St. John Catholic School is that the school is delegated by the parents to participate in the quality education of their children. The school, then, as an extension of the home, attempts to provide a Catholic atmosphere of love and concern. The school accepts the responsibility to assist each child in developing his/her potential: spiritually, intellectually, physically, and morally. St. John Catholic School is dedicated to preparing Catholic leaders for the Christian community. In the context of the present economic, social, intellectual, and religious background of our specific school community, preparation for higher education is the broad objective of our school. The entire curriculum of the school focuses upon the charism of the founders, the Sisters of St. Joseph of Carondelet, by developing in each student a spirit of profound love of God along with the unity and reconciliation of neighbor with neighbor, and neighbor with God, always in a spirit of gentleness, peace, and joy. We believe that Catholic education is an integral part of the church’s mission to proclaim the gospel of Jesus through worship and service. We believe in recognizing and valuing each student as a unique child of God. We believe in encouraging students to develop a love of learning and to reach their full potential: spiritually, intellectually, physically, and morally. We believe in fostering a sense of responsibility in students as members of the church and the wider community. We believe in nurturing respectful communication and in sharing the responsibility for the mission of the school with the members of the parish and school community. We believe in maintaining a caring, committed, and cohesive school environment that is safe, disciplined, and joyful. We believe in continuing the mission of our founders, the Sisters of St. Joseph of Carondelet, by developing in each student a spirit of profound love of God, with the unity and reconciliation of neighbor with neighbor and neighbor with God, always in a spirit of gentleness, peace, and joy.